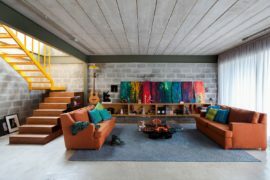 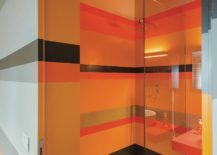 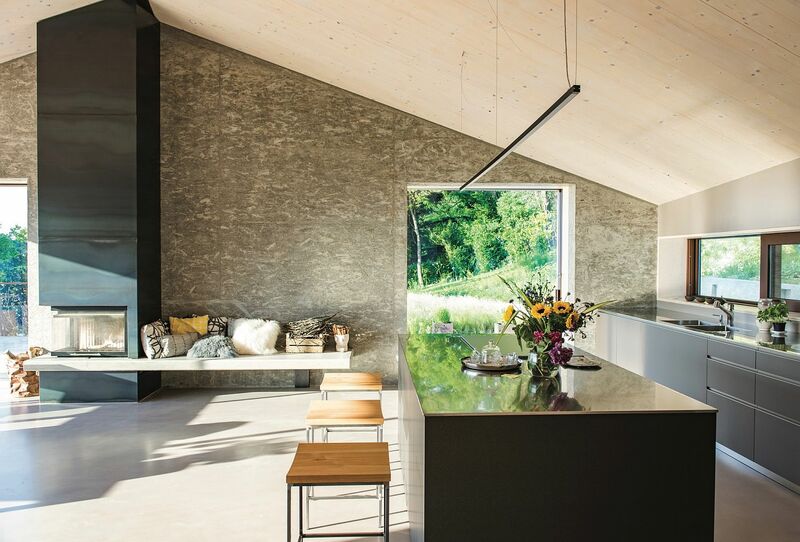 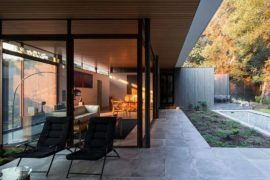 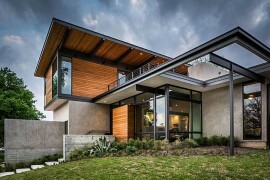 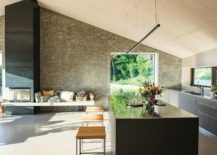 Increasingly modern homes are embracing design where the boundary between the interior and the world outside is effectively blurred; giving homeowners a more nature-centric and vivacious lifestyle. 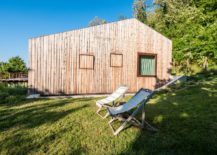 It is absolutely no wonder then that this beautiful and modern Bed & Breakfast in the the Euganean Hills of Padua has gone down a similar route! 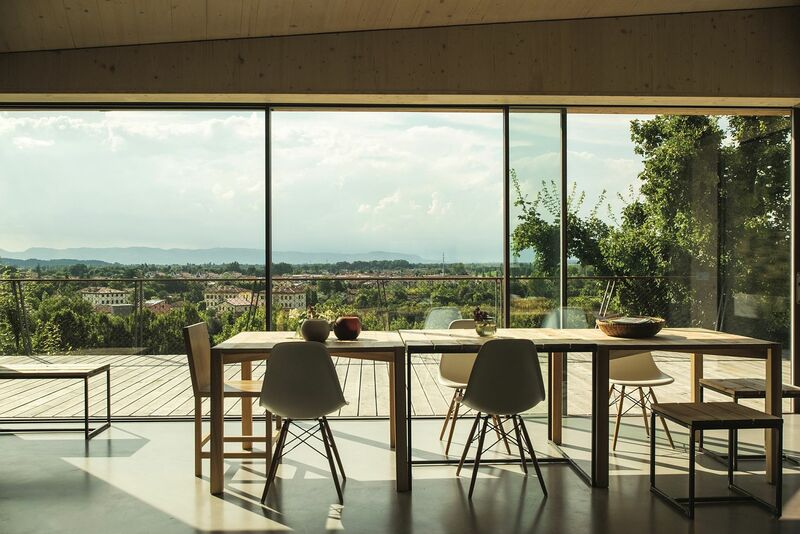 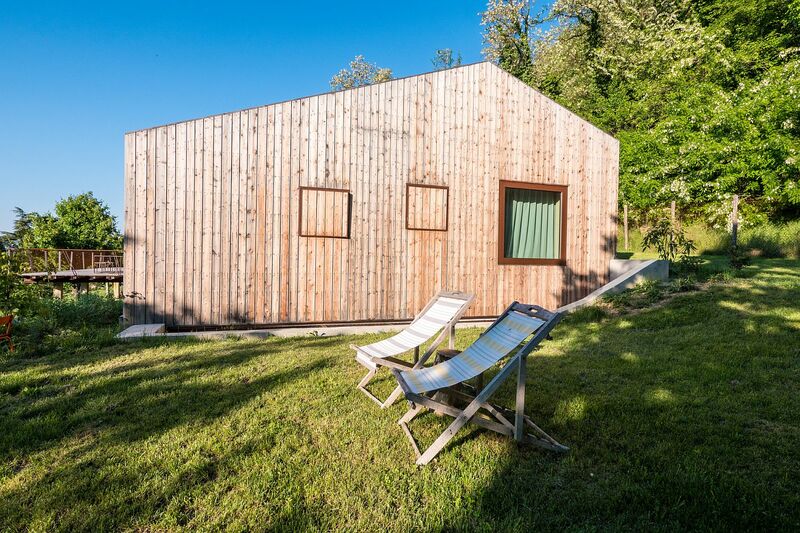 Designed by Integrate Collective, this beautiful Italian B&B in Veneto has been designed as a reclusive getaway that promises captivating views of the hilly terrain even while providing a perfect setting for workshops, corporate team building events and ‘experimentation in the kitchen’! 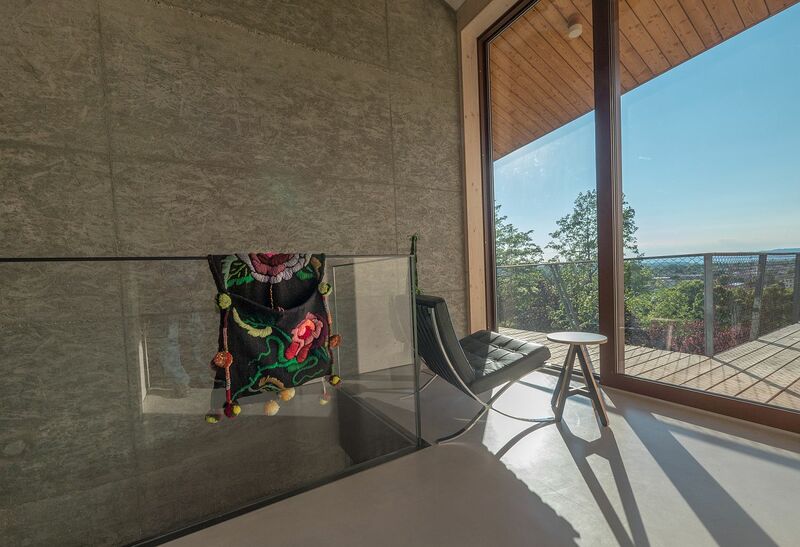 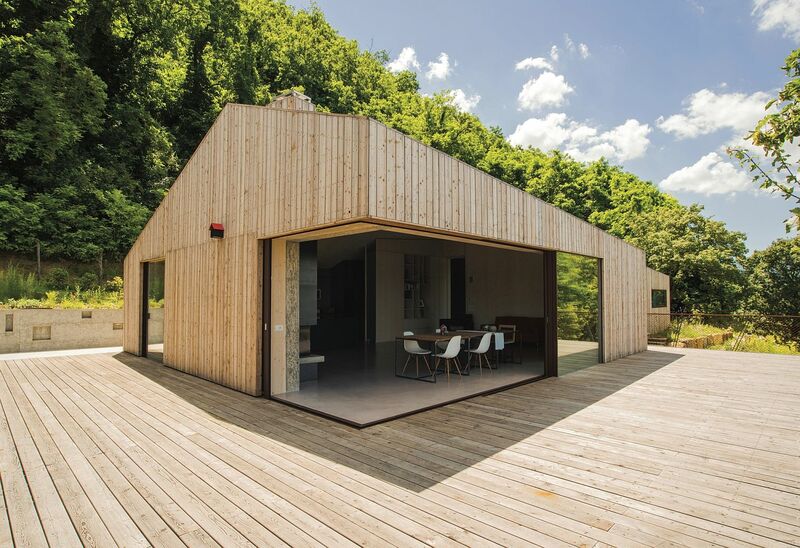 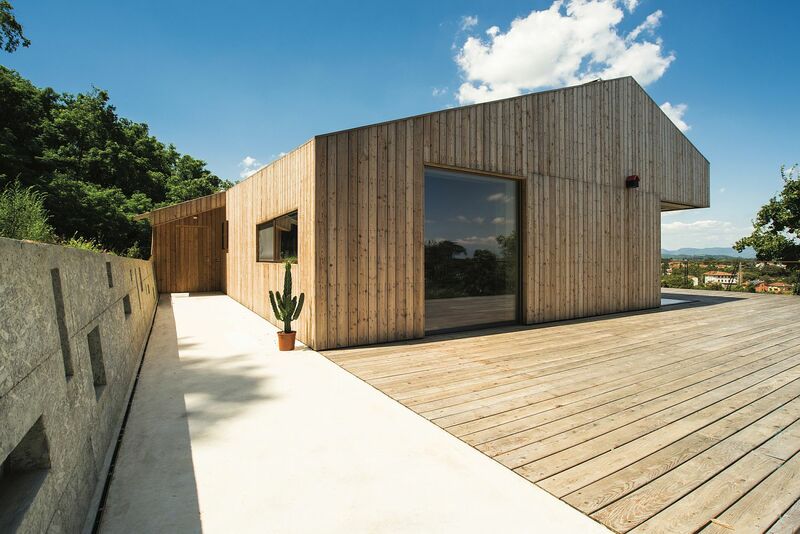 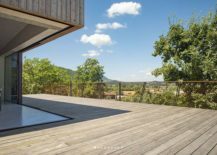 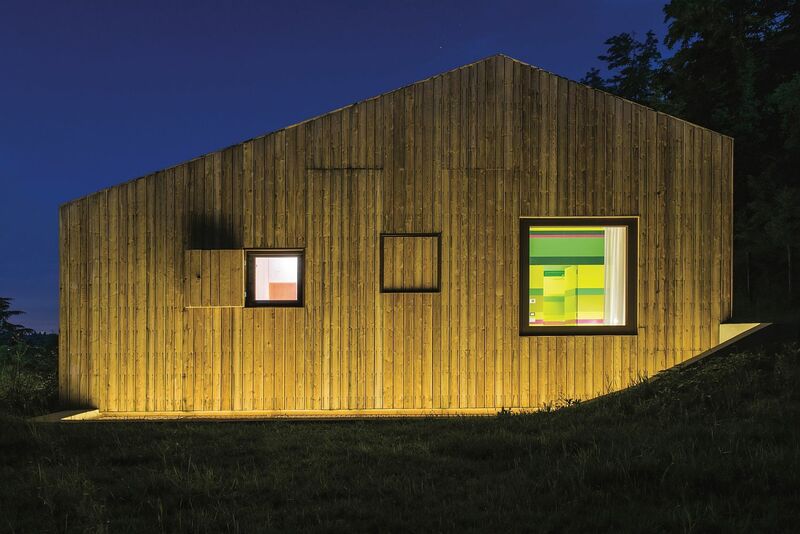 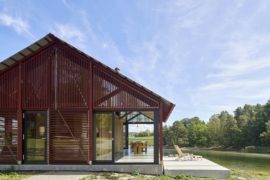 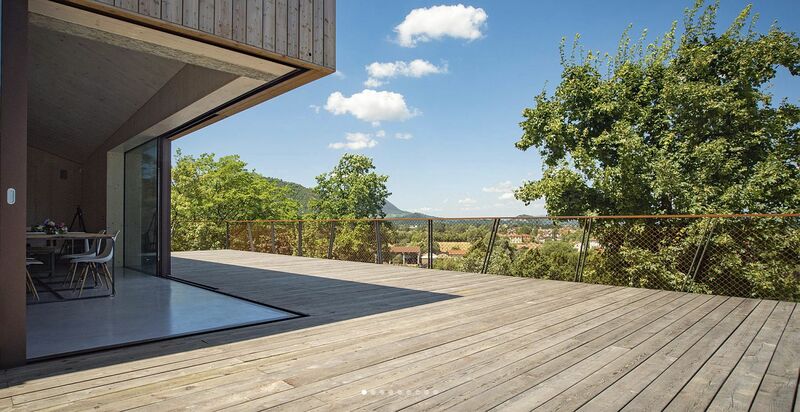 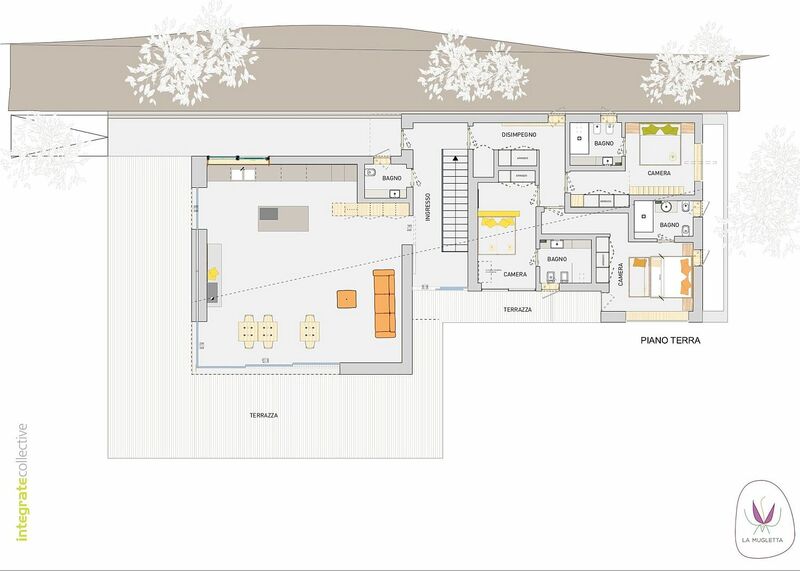 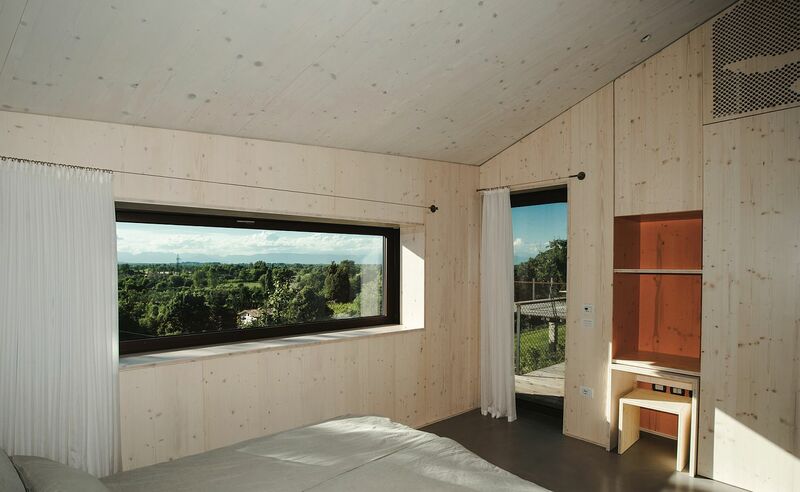 Essentially, the design of B&B La Mugletta is simple with XLAM wood with wood fiber insulation being used to create an energy-efficient setting that is also visually open to the landscape outside. 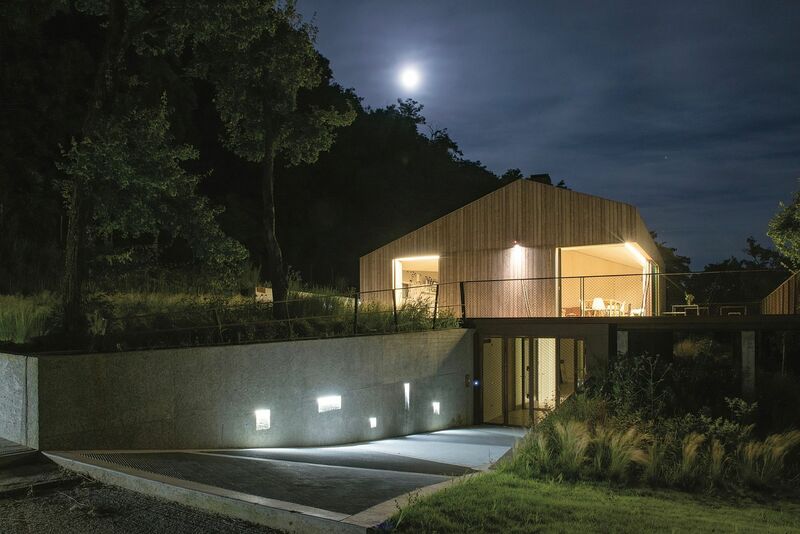 AN additional layer of external larch lining gives the structure its unique look while concrete and cement provide a solid base. 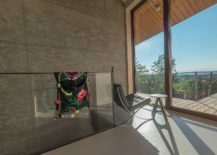 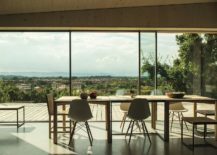 Then there are sweeping glass windows and sliding corner glass doors that perfectly frame the views outside and ensure that the neutral interior is lit up by the ever-changing countryside. 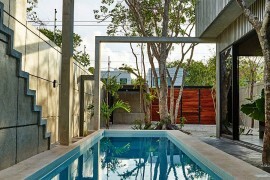 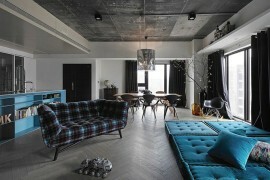 The integration with nature, of course, means that special attention has to be also given to the design of the garden. 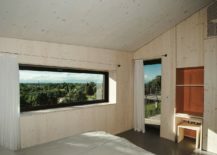 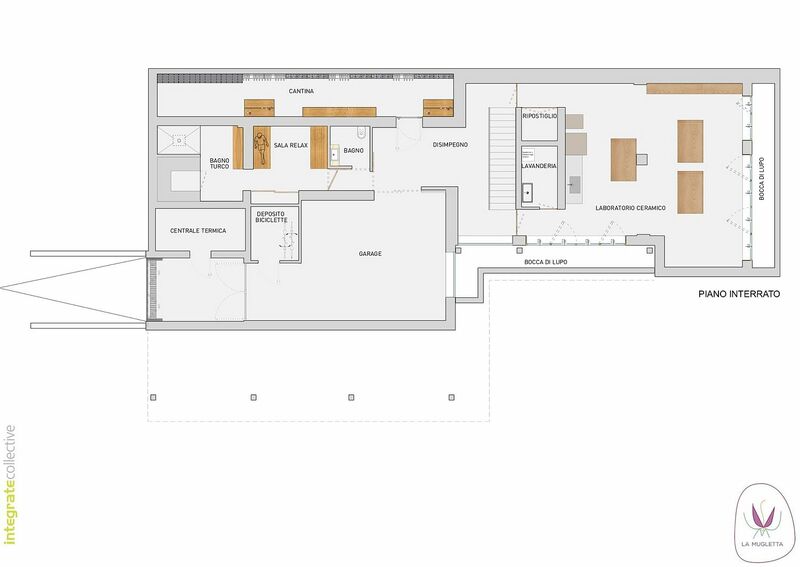 This was aimed at connecting naturally the main elements of the surrounding landscape with the interior and exterior of the building. 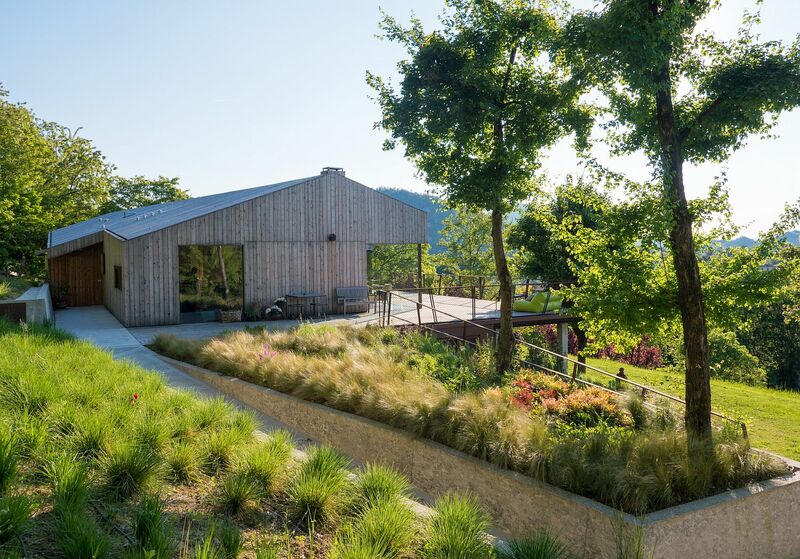 Nature enters the garden design with a soft-shaped composition.